Head to JR Kansai-airport Station. JR offers the most convenient access for travelers heading to Tennoji, Osaka, Shin-Osaka, and Kyoto. 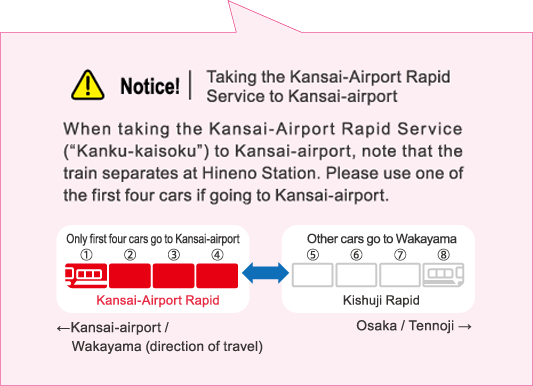 Access to JR Kansai-airport Station and the time required may vary depending on the airline being used. This guide addresses three ways to purchase a ticket. Please select the desired purchasing method. An attendant will serve you. 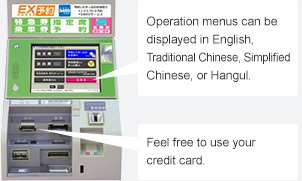 Use this method for purchasing or obtaining a rail pass or ICOCA & HARUKA. Line up for a smooth experience! Use this method for purchasing HARUKA and other limited express train or Shinkansen tickets. 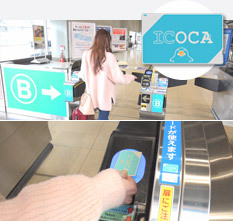 Use this method for ICOCA cards—which can also conveniently be used for shopping—and Kansai-Airport Rapid Service or local service tickets. Midori-no-madoguchi can be found wherever you see this mark. 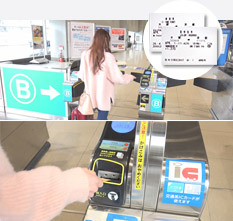 Rail passes and ICOCA & HARUKA sets as well as basic fare tickets, limited express tickets, and reserved seat tickets can be purchased or obtained from the JR Kansai-airport Station Ticket Office. Staff dedicated to offering support for foreigners is regularly available in the JR-WEST Ticket Office of Kansai-airport Station. Feel free to stop by any time. 5:30 a.m. to 11:00 p.m.
Customers who cannot present their exchange order for a rail pass due to loss, theft, or other reason will not be able to receive a rail pass. 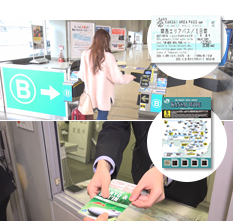 HARUKA and other limited express train or Shinkansen tickets can be easily purchased from green ticket-vending machines without having to line up in the ticket office. Your personal identification number (PIN) is required when purchasing with a credit card. 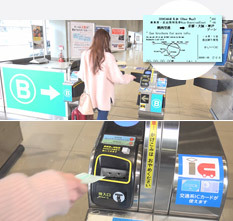 Kansai-Airport Rapid Service or local service tickets can be easily purchased from ticket machines without having to line up in the ticket office. Fares are listed on the route map displayed above the ticket-vending machines. To use limited express services, a separate limited express fare is required. 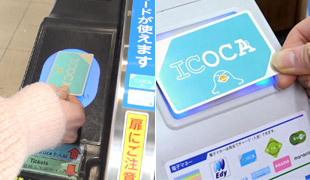 ICOCA cards are electronic cards that can be used for riding trains without purchasing a ticket by touching the card to the automated ticket gate. These cards can also be used for shopping purchases. Please note that credit cards cannot be used to purchase ICOCA cards. Make your way through the gates and head for the platform. Note that how to pass through the gates varies depending on the type of ticket being used. Use the discounted ticket instead of the ICOCA card to pass through the automated ticket gate. Insert the basic fare ticket together with the limited express ticket into the automated ticket gate. Just touch the card to the automated ticket gate! Be careful when walking with your suitcase. 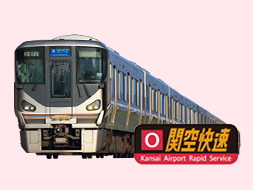 Kansai-Airport Express HARUKA and Kansai-Airport Rapid Service offer convenient access from JR Kansai-airport Station to wherever you want to go! *Both train fare and separate express fare required. 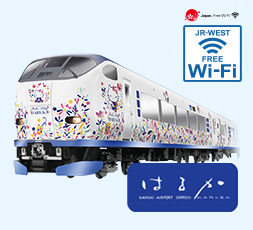 "JR-WEST Free Wi-Fi" service is offered in HARUKA trains. To use the service, you must obtain an access code beforehand from Kansai-airport Station or some other location that offers internet access. Click here for more details on JR-WEST Free Wi-Fi Service, including how to use the service. Direct access to Osaka(Umeda, Tennoji)! Click here for more details, including train timetables.